New handle material for custom chef knives. Home/Around the shop/New handle material for custom chef knives. I love getting in new orders of handle materials. When clients come by the shop I break out what I have on hand and let them select their specific handle materials. They actually see what will go onto their knife. I got a new order in which is mostly different types of horn and some polyester pearl / abalone type material that shines up amazingly well. It’s also durable. Polyester Pearl – Feathered Macaw in Green, Blue and Yellow, Polyester Pearl – Star Spangled Banner Scales, Impala Jigged Bone Scales (for a small knife), Red Water Buffalo Horn, and then Imistag Bone for the last two on the right. While it’s not the best photo (taken with my phone) you get the idea. I hope to have this material on some custom chef knives and the future and post them here. Custom spatulas and spoons in Austin, TX. April 25th, 2015 | Comments Off on Custom spatulas and spoons in Austin, TX. Grinding knives in the Texas winter. 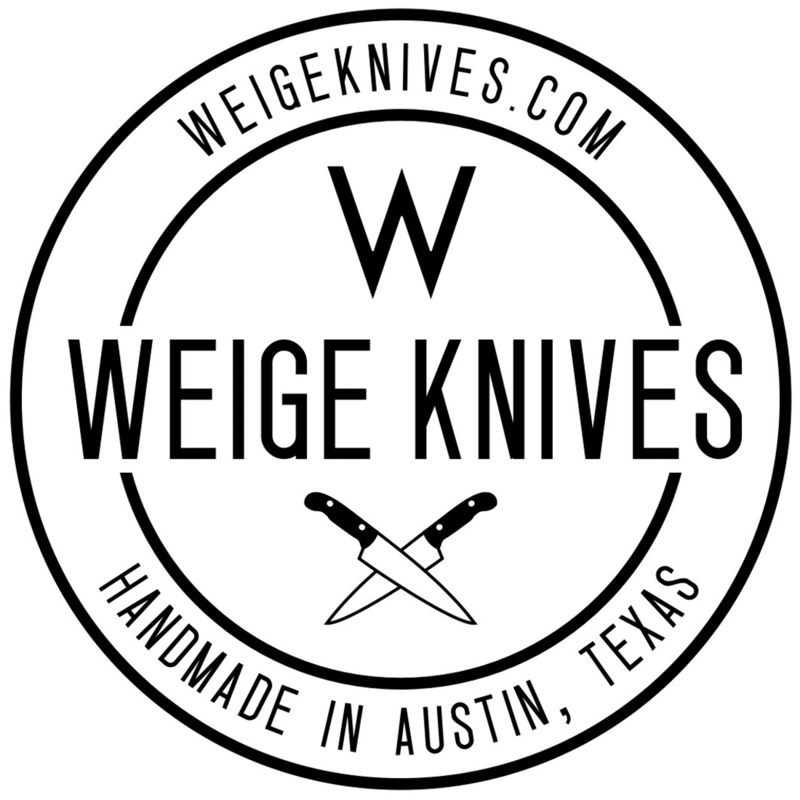 December 8th, 2014 | Comments Off on Grinding knives in the Texas winter.